The Foundations Conference NYC is now over and we are back again. It was our special privilege to make this first attempt in assembling what we believe is a unique lineup of some of our generation's finest speakers in one of the world's greatest cities and focusing our attention for a few days around a most important subject. Something that we believe is foundational to any ministry -- that is, giving ourselves to prayer and to the ministry of the Word (Acts 6:4). Speaking of this "most unusual meeting" of diverse groups, Dr. Steve Pettit made his opening remarks by saying that "you have all of these unusual people that are gathered together ... And we all gather together for a stated purpose. I think that purpose has come through very clearly. 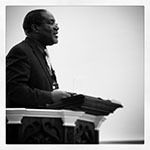 And that is the supremacy of preaching and the supremacy of prayer in our ministries." Watch the video below, or click here for the sermon page. Jonathan Edwards was brought up quite a few times at the conference. 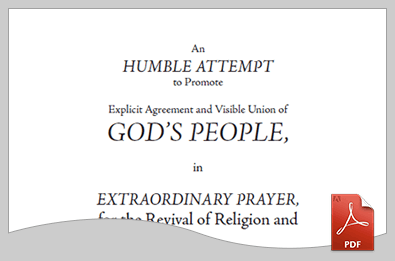 He wrote a little booklet in an attempt to promote corporate prayer among God's people. In our conference welcome address, we used this booklet as a launching pad to set the tone for the conference. We encourage you to print it out and read it for yourself. 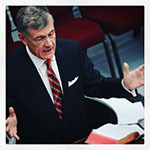 In that same connection, we would strongly recommend to you a powerful address by Dr. Steven Lawson, below, on the Unwavering Resolve of Jonathan Edwards. We know it will be a blessing to you. Be sure not to miss it! 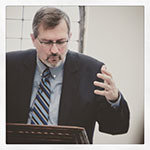 Also, be sure not to miss Conrad Mbewe's convicting address regarding prayer and God's big agenda, Joel Beeke's address regarding preaching to the hearts of men with passion, Alan Dunlop's heart-warming address on hands-on religion, and Steve Lawson's address on aiming for God's glory in our preaching. 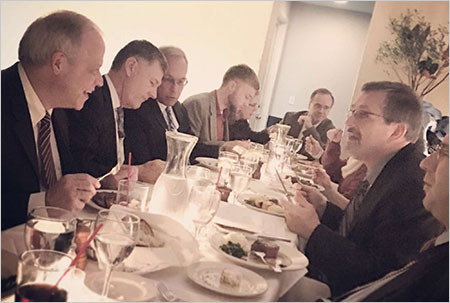 One of the highlights from the conference for our staff was to sit down with the various speakers and enjoy some light fellowship over a meal after a long day. 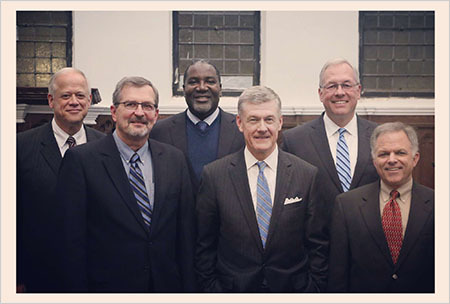 On December 15-17, 2015 we did our best to communicate a burden to return to the foundations of prayer + powerful preaching. 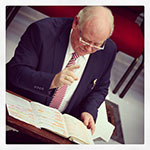 We pray and look for God's blessing to be brought forth in greater measure in the days to come. View high-resolution version of all photos by clicking here..